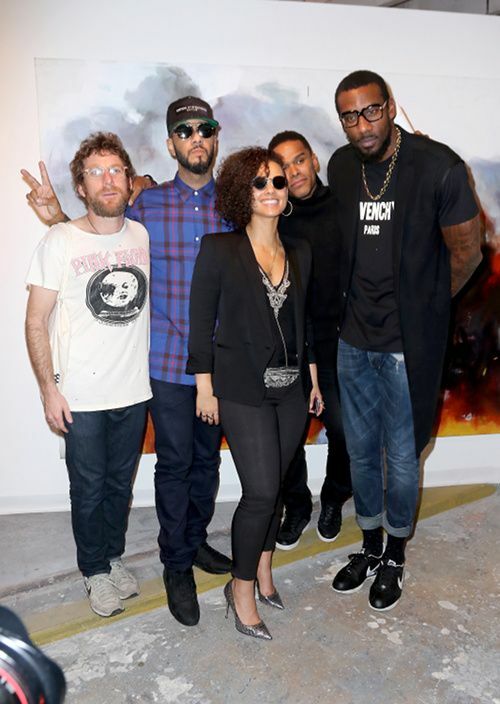 Miami was LIT last night as art and rap lovers linked up to celebrate at The Dean Collection x BACARDI's Untameable House Party, following Swizz Beatz’s No Commission Art Fair viewing at Miami Art Basel. We’ll get to more on that in second. 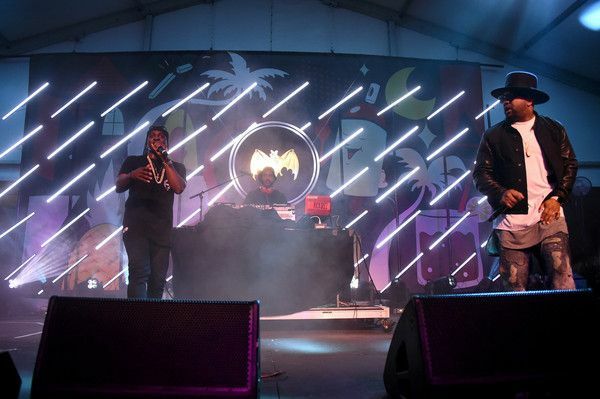 In collaboration with his three-day Art Basel presentation, the superproducer curated a mini-concert series to celebrate his love for music and art. 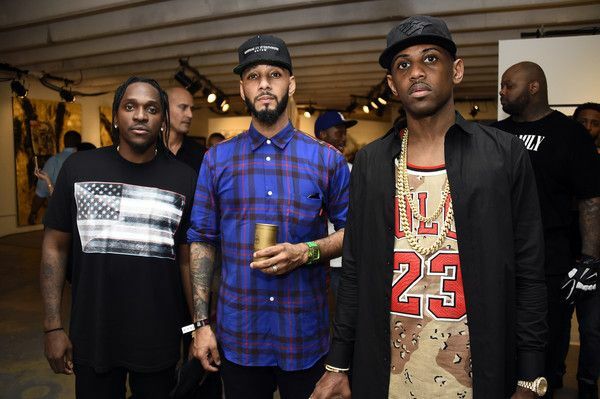 Swizz called on his homie Fabolous to turn up the "lituation" with a surprise performance. G.O.O.D. 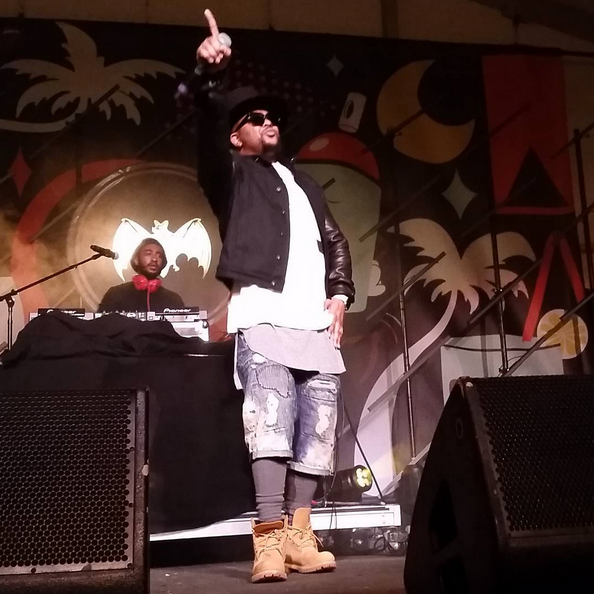 rapper Pusha T and R&B crooner The Dream also rocked the stage for concertgoers. That's a very interesting ensemble there Dream. 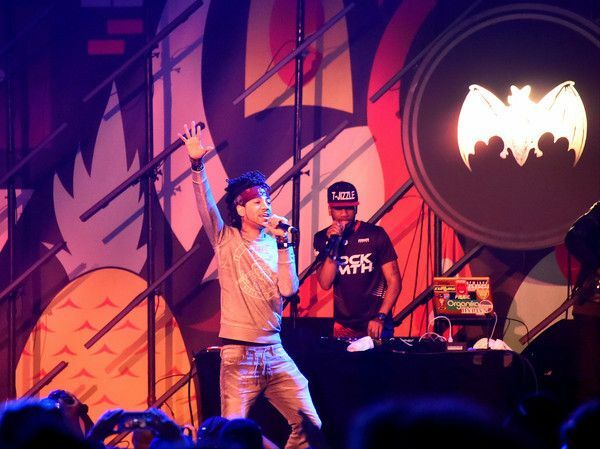 Then DJ Esco took over the stage with his set. 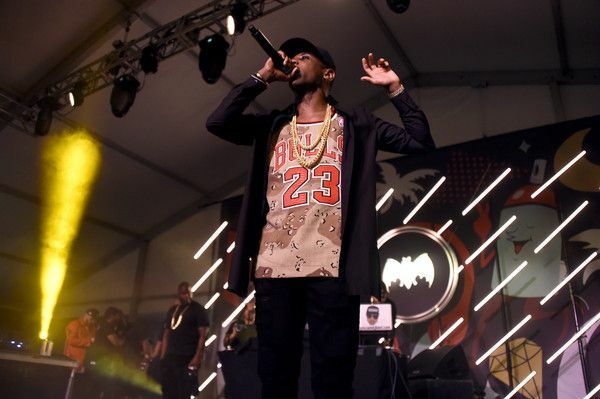 Tonight's performances will include a mini Ruff Ryderz reunion as DMX and Swizz will join forces for the closing show. Wiz Khalifa aka DJ Daddy Cat (that's his DJ name) will be providing the tunes on the 1s & 2s. That should be fun. 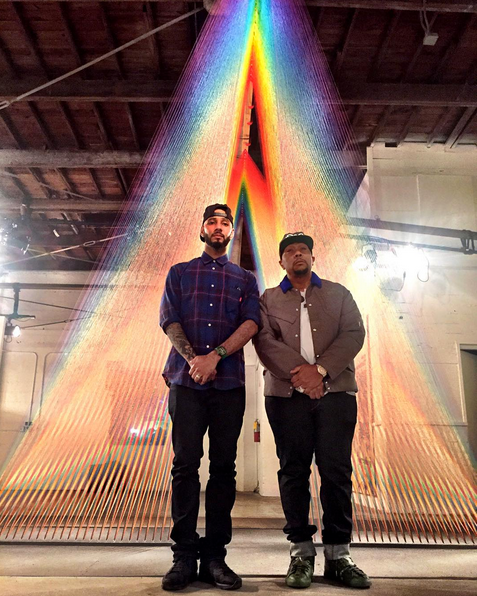 The Grammy Award winning producer and art lover hosted his No Commission Art Fair of the Dean Collection. 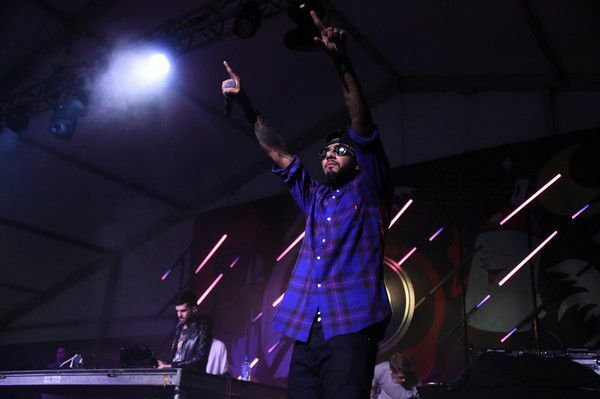 Swizz is totally changing up the game as his presentation will allow artists to showcase their work for free AND take home 100% of their proceeds. So when he says #NoCommission, he literally means no commission. Sweet! He dished to Billboard about why he chose to present his collection the way he is saying, "It's by the artist, for the artist, with the people. And I think a lot of people forgot the message of why they're even going down to Basel. 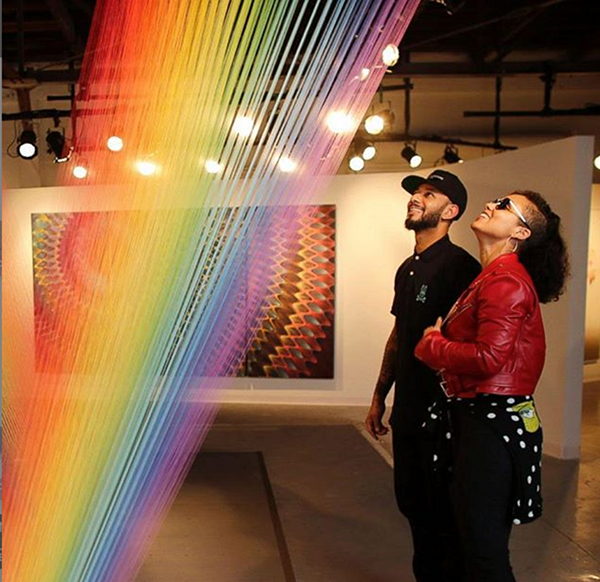 You're going down to Basel because there are amazing, creative artists who took a lot of time out of their lives to put together some masterpieces and hope for entry in a great collection or for somebody to be inspired. And not taking anything away from Basel or from the galleries, but I just chose to do something different. And I think the world needs more powerful collaborations that are willing to push the envelope and not really follow the necessary rules that are laid out." 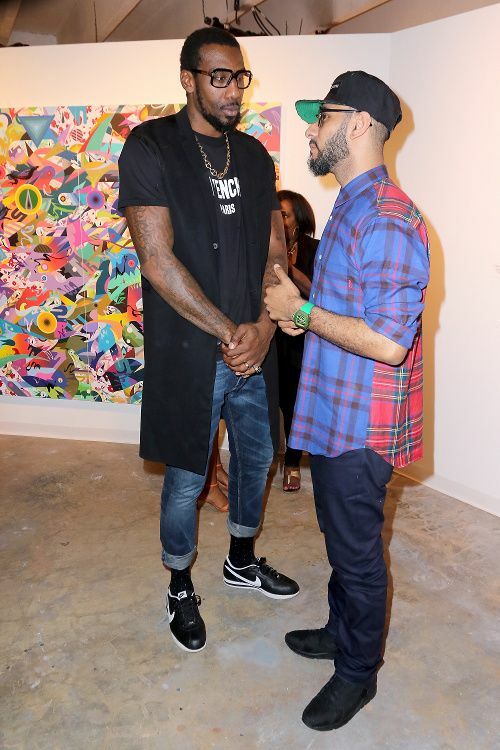 Showing their support, his wife Alicia Keys (who performed at his concert the night before), NBA baller A’mare Stoudemire and R&B singer Maxwell stepped out to attend yesterday’s event. Superproducer Timbaland peeled out of the studio to show his homie some support. 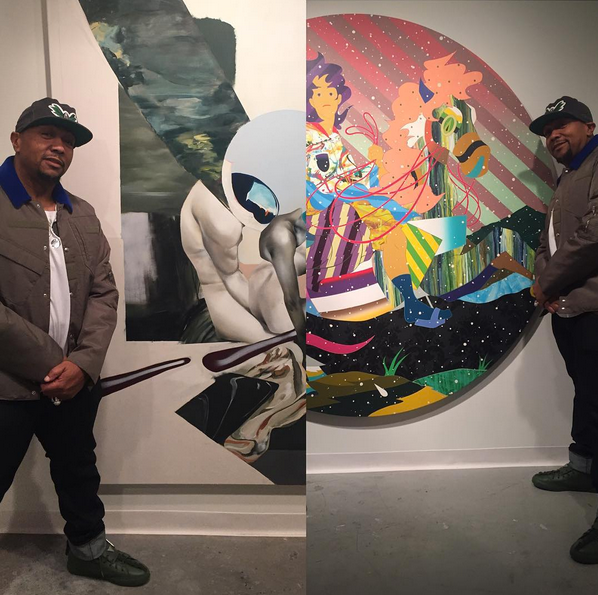 Timbo even copped two amazing paintings to add to his personal collection. 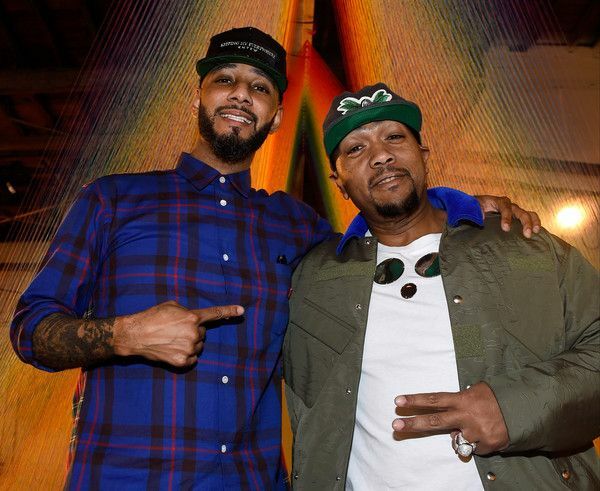 Swizz captioned, "Super thanks @timbaland buying 2 crazyyyyyyyyyy pieces for his collection #TheDeanCollection #NoCommission congrats let's go....... @jaybomonk @tomokazumatsuyama"
Miami Heat baller Amar'e dropped some coins on a piece he was feeling. 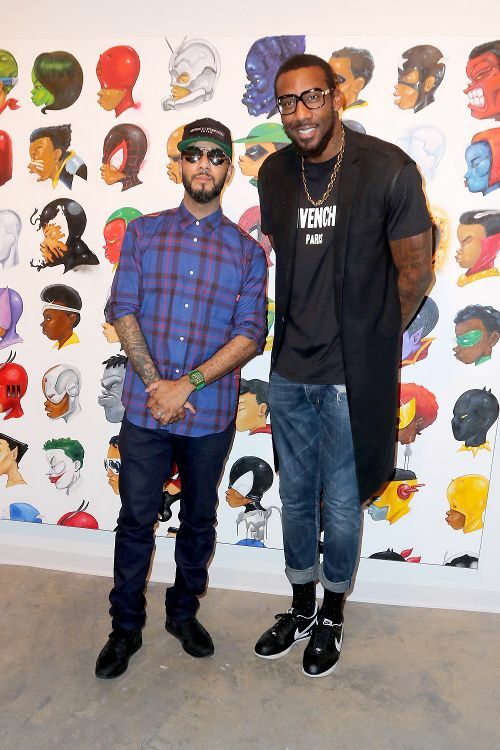 Swizz thanked him saying, "Super congrats @amareisreal for the purchase of his amazing @hebrubrantley threw #NoCommission ART Fair blessings and thanks 100% of the profit the artist keep #TheDeanCollection #BacardiHouseParty"
And Fab snatched up a painting to add on the walls of his mansion. 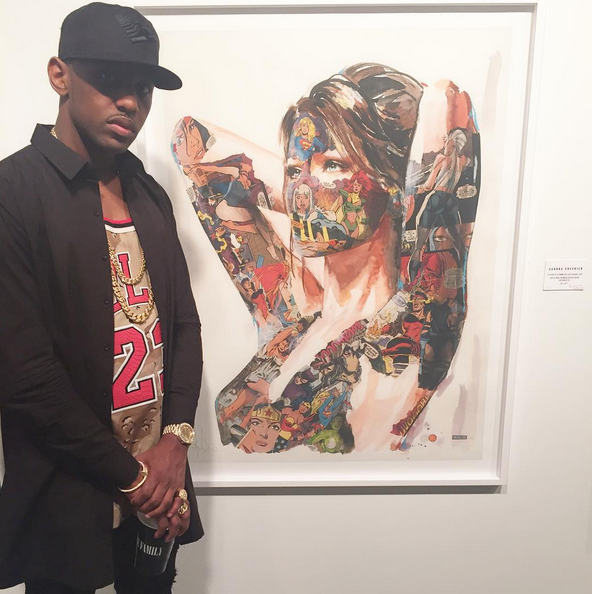 Swizz showed his gratitude saying, "Super congrats @myfabolouslife for the purchase of his new @sandrachevrier threw #NoCommission Art Fair. 100% of the sale the artist keep. 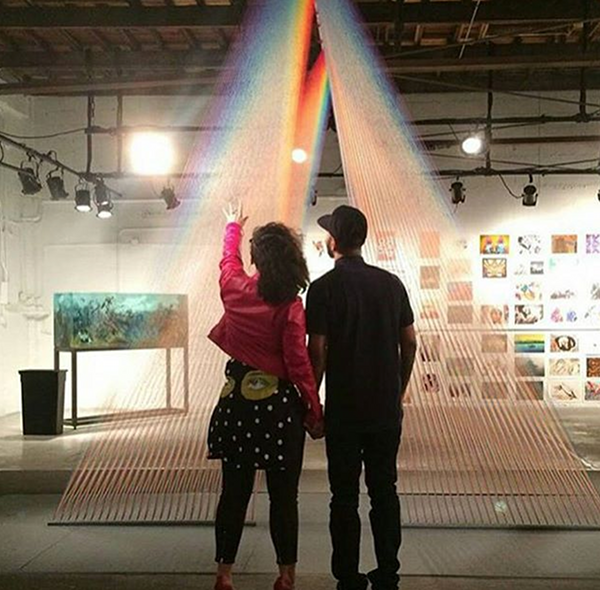 blessings and thanks "
Mr. & Mrs. Dean – rocking the polka dot L/S top by Paul Insect – marveled over one of the exquisite art piece from his collection that mimicked a rainbow coming down from the sky. Beautiful. 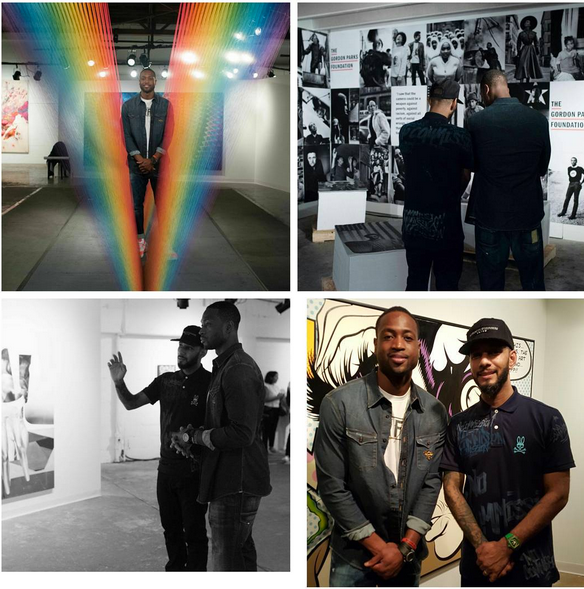 Miami Heat baller Dwyane Wade also came out to soak up some of the incredible art pieces and get a lesson from Swizz. 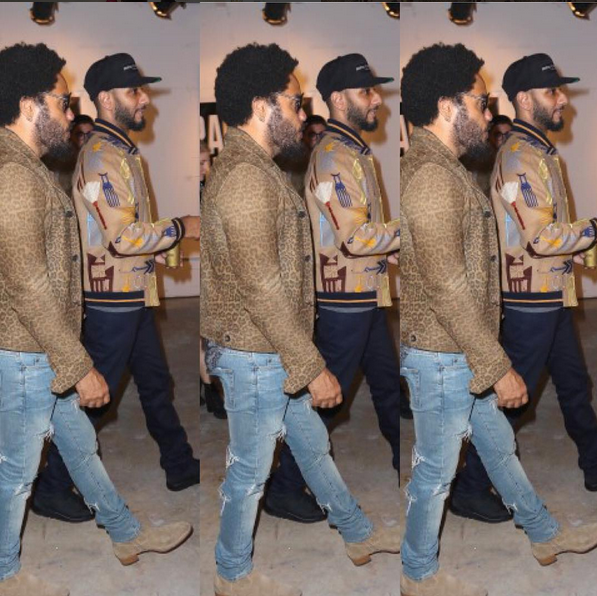 Rocker Lenny Kravitz was also in the building to cop some new art pieces. 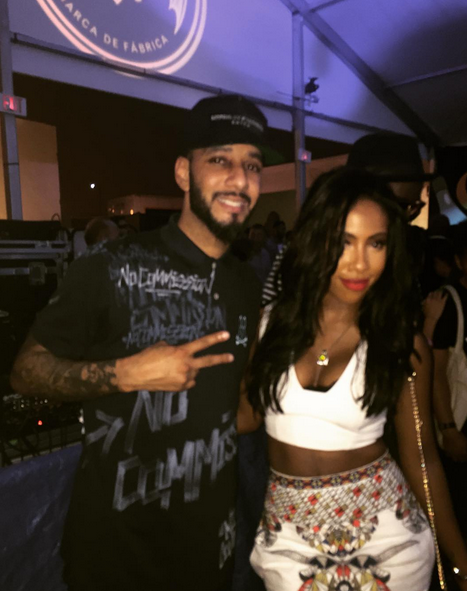 R&B sonsgtress Sevyn Streeter hit the concert series the night before to see A. Keys rock the stage. Fun times.